Although interest in machine learning has reached a high point, lofty expectations often scuttle projects before they get very far. How can machine learningespecially deep neural networksmake a real difference in your organization? This hands-on guide not only provides the most practical information available on the subject, but also helps you get started building efficient deep learning networks. 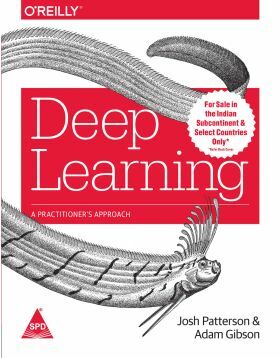 Authors Adam Gibson and Josh Patterson provide theory on deep learning before introducing their open-source Deeplearning4j (DL4J) library for developing production-class workflows. Through real-world examples, youll learn methods and strategies for training deep network architectures and running deep learning workflows on Spark and Hadoop with DL4J.